Encore was responsible for the success of the Delta Phi Epsilon’s Michigan DJ at their East Lansing Sorority Dance. This was held at the Raddison Hotel. We are a Detroit based company, but once again we service the entire state of MI. Some of our repeat clients are from out of the area and we have no problem accommodating them. Lansing is an area we service often, and we were pleased to help the Delta Phi Epsilon organization with their event. The members gave heartwarming speeches, that were accompanied by silly gag awards. These are done at almost every Greek organization dance. You can expect to see both inappropriate and conservative moments. With regards to the speeches, those are done at almost every and any event imaginable. You will mostly see them done at wedding receptions in the form of a toast or welcoming speech. After the meal was finished by the Raddison staff, Encore disc jockeys began to break the ice and get the dance floor going. We started out with some mellow top 40, after a couple of announcements, we progressed into the newer music getting requested. Our online system makes requesting music and special dances a complete breeze. All you have to do is drag & drop your songs and you’re done We also got the guests involved with the music by having them submit song requests online months before the party with Pick n Play. Bottom line, we had every song they want before the party even began. We started the dances around 9pm and kept it going until the end of the night. The planning committee for Dela Phi Epsilon took a handful of nice photos during the dance and put them online for their members to view. You can see an example group shot above right before the dancing started. From my own personal experiences, these events are always go right up to the last minute. In some cases we will even go overtime and keep the party going. If you’re planning a college sorority dance in the Lansing area, we would love to talk with you more about our exciting options. 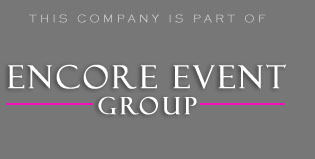 Encore does hundreds of events every year and has the options to make your event a huge rocking success. Choose from modern DJs, club like lighting, and photobooth rentals. We try to keep it all in one place. Get started and read more about our DJ packaged service options by clicking your mouse on the icon below.